Biomimetic dentistry is a modern, patient-oriented approach designed to conserve your natural teeth. Traditional dentistry techniques focus on strengthening the teeth and the final restoration, but may sacrifice some of your natural tooth structure in the process. Conversely, biomimetic dentistry aims to restore your tooth by emulating its natural function, focusing on the tooth’s durability and long-term health. These minimally invasive techniques allow our experienced dentists to provide our patients with cost-effective, functional, and cosmetically pleasing tooth restoration solutions. Please contact our practice today if you would like to learn more about biomimetic dentistry, or to schedule an appointment. 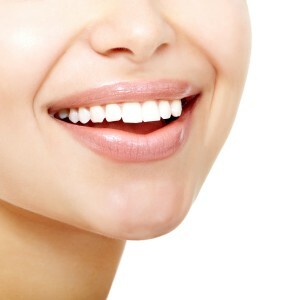 Biomimetic dental treatments may include layering techniques with tooth-colored materials such as inlays, onlays, or bonding. These techniques may be offered as an alternative to full root canal procedures or full coverage crowns in some cases, and typically require less drilling and fewer future dental treatments. Biomimetic dentistry has helped our patients at Pomerado Cosmetic Dentistry maintain healthy and beautiful teeth for many, many years. For more information about biomimetic dentistry, or to schedule a consultation with one of our dentists, please contact us today.